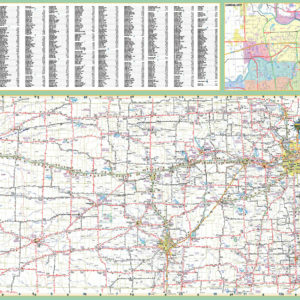 Our large city, county and highway wall map of Kansas Wall Map Executive Commercial Edition is available laminated or framed in multiple sizes from 2×3 to 4×6 feet. 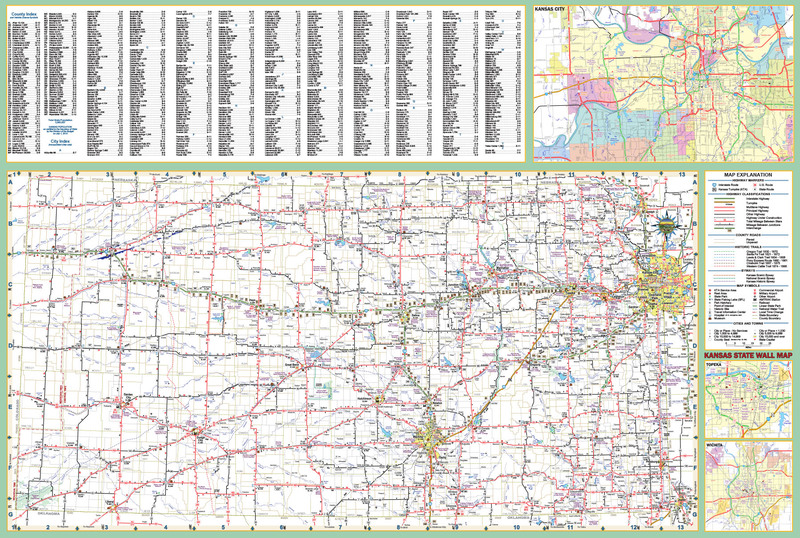 The Kansas Wall Map includes all state/federal highways, major waterways, towns, military installations, major airports, state universities, cities, state parks, wildlife areas, and various points of interest. The KS State wall map is available in a variety of sizes. Please inquire for custom sizes not shown below. Our wall maps are lithographed in 8 colors, are laminated, and indexed on the face of the map. If you are looking for the most detailed KS State wall map available this map is for you! Map data provided from the State of Kansas.